We’ve received several irate e-mails chastising us for not posting something new every single day–evidently, there are a lot of you out there who need to receive a fresh dollop of Rock Snobbery come each morn. (Hasn’t Scorsese’s two-night documentary on Dylan been enough?) To which we say, Sorry, it’s just that this is more of a “site,” if you will, than a “blog,” if that’s the correct word that you young people use, and we have grown-up work responsibilities that preclude us from “blogging” on a daily basis like these young people. That said, keep an eye out for Steven’s corking history of Sugar Hill Records in the November issue of Vanity Fair, out next week. BEST. ROCK SNOB. PARODY. EVER! In the clip–which must have startled WFMU listeners who thought it was a real call-in to the station–Wurster, who in real life is the drummer for budget-priced indie stalwarts Superchunk, calls in pretending to be the most pompous Rock Snob ever, a know-it-all in his early forties who claims to have seen the MC5 and the Stooges perform live when he was ten, and that’s just the beginning of his elaborate, note-perfect monologue of a life devoted to Rock Snobbery. Scharpling, who in real life is a writer-producer for the TV show Monk, grows ever more incredulous at his caller’s pomposity. THE PEER-PRESSURE PITCH: WHY HAVEN’T YOU SNOBBED? C’mon: Everybody’s doing it. The Rock Snob*s Dictionary is now in its fourth printing, and you still haven’t gotten your copy, chump? How do you expect to hold up your end in bull sessions about Curt Boettcher and the golden age of Sunshine Pop? What’s more, there's so much more Snob product in the pipeline: in the new (October) issue of Vanity Fair (but not online, alas) is the second volume of “The Football Snob’s Dictionary,” by David Kamp and Peter Richmond, and coming up in VF’s November issue is the debut of “The Wine Snob’s Dictionary,” by David Kamp and, making his Snob debut, David Lynch, chief wine guy of Mario Batali’s Babbo and co-author of the SEMINAL Italian-wine guide Vino Italiano. The whole world’s goin’ Snob, man. And let’s not forget that, come February, Broadway Books will publish The Film Snob*s Dictionary, by David Kamp with Lawrence Levi. So join the Snob club now, while it’s still exclusive and... snobby. Due to artistic differences and Scottish parsimony (it costs two dollars to take the subway downtown), Steven Daly was not able to make it to WNYC’s Soundcheck program with John Schaefer. But David Kamp did, joing Mr. Schaefer to discuss Rhino’s newish 1990s box set entitled Whatever and whether Nineties retrospectivism is a valid pursuit at this relatively early date. If you missed it, you can have a listen here. 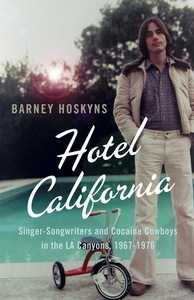 We kvell, wish nachas, and conjure every other upbeat Yiddish word we can think of for our friend Barney Hoskyns, music journalist extraordinaire and editor of the awesome archival site Rock’s Back Pages, who has a new book coming out about the Laurel Canyon scene (see page 62 of The Rock Snob*s Dictionary) called Hotel California: Singer-Songwriters & Cocaine Cowboys in the L.A. Canyons 1967-1976. (The U.K. cover is pictured; the U.S. edition comes out next spring.) 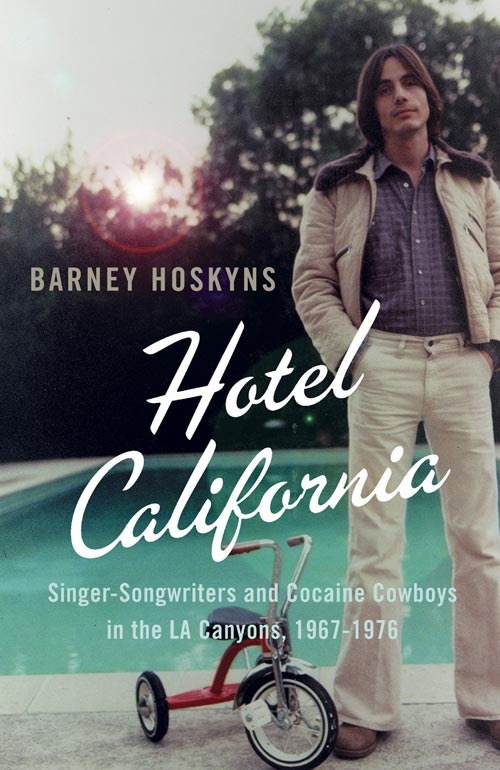 Please buy Barney’s book and get the scoop on why David Geffen felt like a free man in Paris, how often Carole King laundered her denim, and what the real story was on Randy Meisner’s controversial removal of his mustache circa 1975. 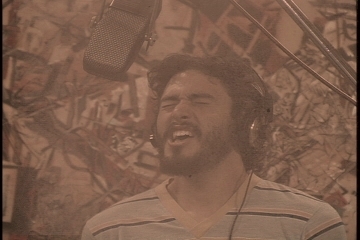 And, though we belabor the point, if you haven’t been following JD Ryznar and Hunter Stair’s brilliant serial Yacht Rock on the guerilla-TV website Channel 101, you’re missing out on the best rock comedy this side of Jack Black. The boys have just posted their latest, Yacht Rock 3 (photo of Stair-as-Loggins below), in which grief propels Kenny Loggins out of the gentle embrace of his buddies Michael McDonald and Steely Dan and into the compressed-drum clutches of eighties soundtrack rock! But if you’re a stranger to Ryznar and Stair’s work, you’d be wise check out Channel 101’s archives and get up to speed on the previous episodes before watching the new one. Even New Orleans’s merriest musicians are having a hard time keeping their game faces on. Said Art Neville, “There are some things you will never get back. It will be Newer Orleans.” And the normally mischievous Dr. John sounded pretty downbeat in this radio interview, in which he said “The worst part about it–I keep havin’ these dreams this thing’s like a domino effect that could go through the whole United States.” Ain’t no dream: the ripple effect of Katrina is felt from coast to coast, and it’s high time to embrace the culture of sacrifice that our American forebears took for granted before American life was redefined as the inalienable right to a Hummer, a plasma-screen TV, and a contract/makeover deal with J Records. If you can’t chip in and volunteer, at least donate to the American Red Cross or Dr. John’s recommendation, the Salvation Army. For those of you with iTunes accounts, the iTunes Music Store has set up a series of handy one-click buttons that allow you to donate as much as you want to the Red Cross, with the donation charged to your credit card that Apple has on file.